Oil heat is the most efficient way to heat hot water and Anderson Fuel offers a range of options for any home or business need! Indirect tanks use a home's space heating system to heat the water. 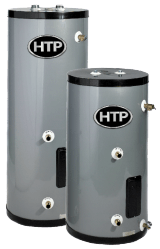 These water heaters work in conjunction with a boiler to heat the water that's circulated through the heat exchanger in the storage tank. Direct oil-fired water heaters are standalone units ideal for larger homes, generating over 50% more hot water than water heaters of similar size, and offering larger standard storage capacities than other hot water systems. We recommend and install the most efficient and dependable brands on the market today. Contact us today to talk about your needs and next water heater. HTP offers a selection of SuperStor models that deliver quality, dependability, and the flexibility to meet any consumer need. These high-efficiency heaters boast three to five times more recovery than gas-fired water heaters and are available with LIFETIME Warranties. 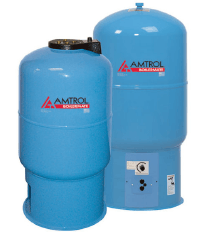 Amtrol invented the first water heater, using the existing energy in a boiler to minimize fuel use and maximize hot water output. BoilerMate requires no separate flue, features a replaceable heating element, and provides built-in storage for high demand or when power outages occur. John Wood Oil Fired Water Heater. Comes with TankSaver® technology and a ceramic fiber combustion chamber that maximizes heat retention, while its immersion-type aquastat allows for precise water temperature control. Available in center flue, as well as a direct vent model that is suitable for combination potable water and space heating.